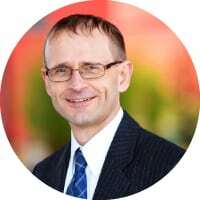 Ian Moyse is Sales Director at Cloud Telephony provider Natterbox and Onalytica #1 Social influencer in Cloud 2017. He was awarded Sales Director of the Year by the Institute of Sales Management (ISM) and Linkedin awarded him a Linkedin Power Profile as a top 10 Influencer in the UK technology sector. HOW DID YOU GET TO BECOME AN EXPERT IN CLOUD COMPUTING? I got into Cloud computing by accident, although you could argue my whole career was leading to it as Cloud is purely a re-packaging of all prior technology models I had worked in – Central computing (mainframe), distributed mobile connectivity, database and internet technologies. I joined a Cloud Security firm in 2006, finding their proposition of interest, not because of cloud, but due to the solution it solved. Through this I quickly became familiar and enthralled with Cloud models and how they allow positive disruption of traditional solutions. Having worked for several cloud vendors I got involved with independent bodies Eurocloud and the Cloud Industry Forum, which led to engaging more closely in the cloud community and learning from a wealth of real world experience. This has led to my continued opportunity and invitation to speak at events, judge awards, become Cloud advisor to organisations and taking part in panels and providing commentary. WHAT AREAS OF CLOUD COMPUTING ARE YOU MOST PASSIONATE ABOUT? You would probably expect me to cite clever technology aspects such as Docker or Hybrid, but for me the more interesting aspects are the outcomes and disruption that cloud brings. For example changing the way fundamental things are done and driving change of a whole market, such as how Netflix not only totally disrupted the Video rental market (bye Blockbuster), but how they are also re-inventing broadcasting, becoming their own media producer off of the back of that initial success. I would add to this the change that IOT (Internet of Things) and technologies such as Drones will make, all linked back to cloud technologies leveraging central ‘hive’ brains and big data analytics to drive a change in how we live. We are going to see a rapid emergence of creative uses of technology from seeing drones mapping out burning buildings for the Fire service before they enter the building, cars that prompt you to order your favourite Starbucks Latte when they detect your in the locale, through to AI Cell phones that detect your nearly home, its winter and you always run the bath and put the oven on when arriving on this type of day so remotely does those things for you. WHICH CLOUD COMPUTING INFLUENCERS INFLUENCE YOU? There are a broad wealth of these and to anyone I leave out , if we engage I value that contribution and apologise. Many of the influencers I have met through social have then led to the opportunity to ‘real world’ meetings or have got to know through other engagements such as award judging. I would cite the likes of Dez Blanchfield, Tiffani Bova, Bill Mew, Evan Kirstel, Louis Columbus, and Simon Porter and of course the godfather of SaaS Marc Benioff. OUTSIDE OF VIRTUAL REALITY WHO ELSE INFLUENCES YOU ? On the social selling and sales sides I would like to name a few (again many whom I have gone on to meet in person). Paul Greenberg, Global CRM Influencer Tim Hughes Best Selling Author of Social Selling, Elinor Stutz, Joanne Black and Mark Hunter. WHICH BRANDS OR PRODUCTS STAND OUT FOR YOU IN CLOUD COMPUTING? I admire and like many that have changed the way things can are done and how we approach our lives because of cloud. Salesforce of course who led the revolution to SaaS. Shazam who gave us an innovative simple looking tech, that is clever in its use of big data, cloud and algorithms. Box who drove FTP out of town and Amazon AWS who drove cloud compute to become consumable. I already engage in many ways here as a guest blogger for the likes of Oracle, Equinix, CloudTech, Maximiser and take part in a wide variety of Podcasts and webinars on my lead subjects of Cloud and Social Selling. I also am often requested as a keynote speaker and have supported organisations such as CompTIA, Akamai, Baptie, RSA conference, Cloud Expo, Accountex, Smart IOT London, Infosecurity, CA World, Bytes, Cloud Direct and am an approved presenter for Schools Speakers. I am always open to hearing new collaboration opportunities and welcome hearing requests on Cloud, SaaS, IOT, Customer Experience, and Social Selling / Sales. I am easily reached on social via Linkedin and/or Twitter, and please do include me in cloud tweets @imoyse for mutual engagement.